Which Titans Rookie Will Have the Most Impact? The easy answer here is Justin Hunter and I agree Hunter should make an immediate impact. Having said that, my pick for the rookie who will make the biggest impact is 3rd round pick Zaviar Gooden. Why might you ask when the Titans already have 3 excellent young linebackers in Colin McCarthy, Akeem Ayers and Zach Brown? Well, let’s take a look. The Titans have traditionally used some 4 linebacker packages but they weren’t able to utilize this option last season due to injury and ineffectiveness at the linebacker position. Colin McCarthy should be healthy going into 2013 and with fellow backers Ayers, Brown and Gooden they should form the youngest, fastest, most versatile and athletic group of linebackers in the league. Since the Titans tend to rotate, I expect Gooden to play early and often even in their base defense and I expect he will man the Will spot. That’s not all I expect from this young man however. While I certainly think Gooden could rotate in 3 linebacker packages, I expect the Titans to run more 4-4 defense in 2013. I love this defense. 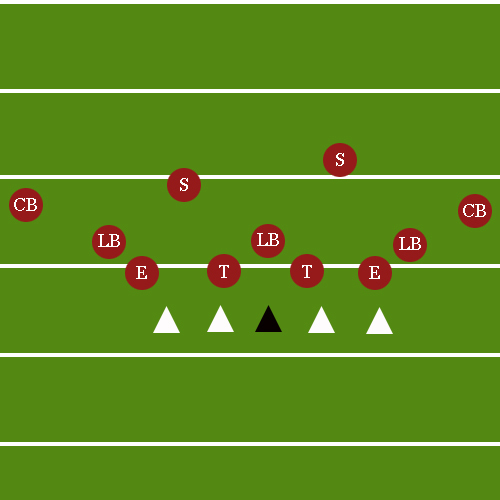 When manned with the right personnel, it is a great run stopping defense that allows for a variety of blitz schemes and provides the defensive coordinator with many opportunities to disguise coverage. Unfortunately, it can also allow for big plays but the Titans added defensive back depth in the offseason and that will be of great benefit. Now that the Titans have the personnel to effectively use it, I think you can expect to see it utilized with a lot of success. When running a 4-4 defense, it is fairly important you have cornerbacks who can play press coverage and are comfortable in man to man because you expect their primary responsibility to be pass coverage. The addition of BW3 should help in that regard because the only other cornerback who has shown that capability is Jason McCourty but I also think Coty Sensabaugh can do it too. 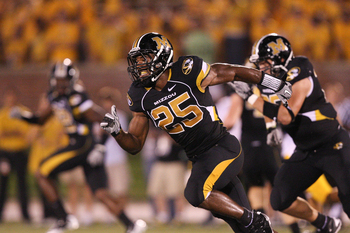 The safety should be able to read and react and typically plays fairly deep. This is a role Michael Griffin has traditionally played but I expect the Titans to challenge Griffin in this spot with George Wilson who has played the position and did it well. You might see Bernard Pollard there in certain situations but that will probably be rare. 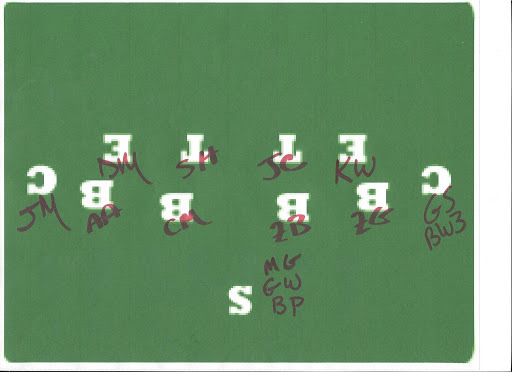 These are the various ways I see the linebackers and defensive backs lining up in the 4-4. Ayers, Brown and Gooden are easily interchangeable on the left and right side in my opinion but I would expect Colin Mccarthy to stay on the left inside spot. You want your biggest and strongest linebacker in the middle paired with the left defensive tackle for run support so McCarthy fits best there. The left outside linebacker needs to be quick, athletic and good versus the run so I would place Zach Brown there. The right inside linebacker should be quick and a sure tackler and that fits Zach Gooden perfectly. 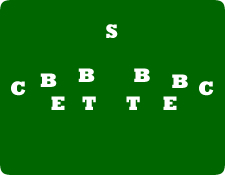 Your best edge rushing linebacker should be in the right outside linebacker spot so I put Akeem Ayers there. 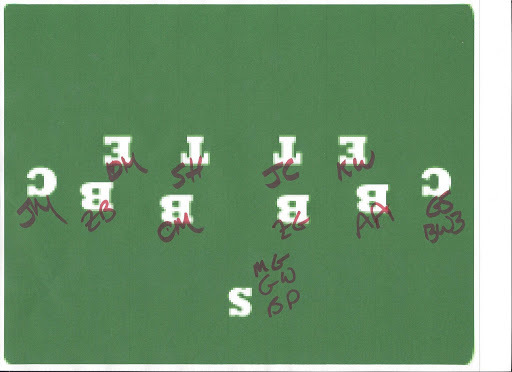 Again, I think Ayers, Brown and Gooden will prove to be interchangeable and Gooden might end up being better at the outside spot so I can see the alignment above too. We all know Brown can rush the passer as well so you might even see him at the right outside linebacker position. Brown in my opinion is also the strongest linebacker next to McCarthy and he is the Titans best tackler as well so I could see him doing well at the right inside linebacker spot. My only hesitation with this scenario is that I think Ayers needs to work on his run defense. Obviously, this is very basic and simplistic and you can expect to see a lot variations but there you have it. I also think the Titans will show a few 3-4 looks too which could increase Gooden’s playing time. I hope you see why I was so excited about this possible addition prior to the draft. Who do you expect to have the most impact and why?